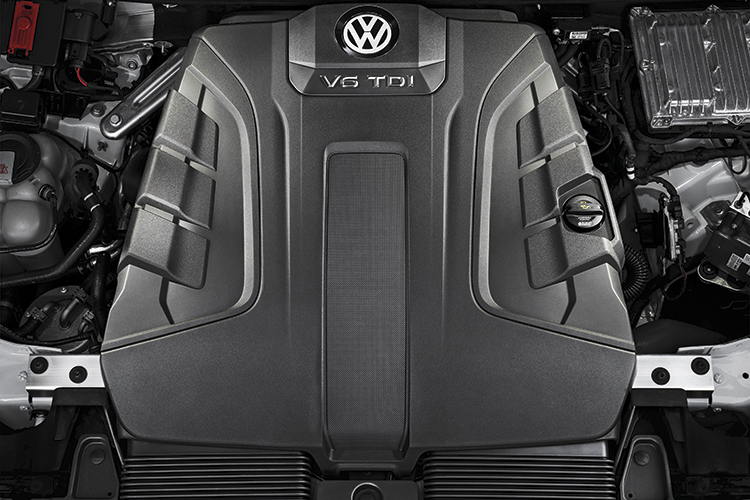 The Touareg is Volkswagen’s most storied sports utility vehicle (SUV). The VW powerhouse has a string of rally wins under its belt, including the famed Dakar Rally three times from 2009 to 2011. Famously, in 2006, it towed a 155-tonne Boeing 747 jumbo jet at an airfield near London. It repeated the feat in 2014. After the Phaeton was canned in 2016, the Touareg took on another task – being the flagship in the Volkswagen lineup. The Touareg was launched in 2002 and it is now in its third generation. 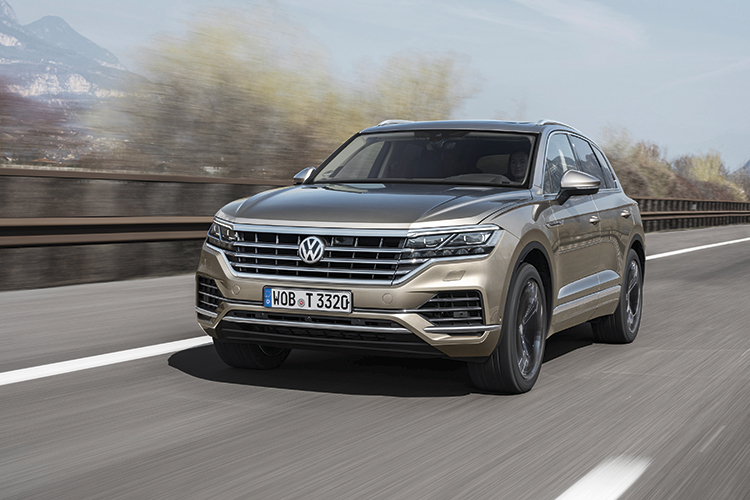 An often heard criticism of the second-generation Touareg, which entered production in 2010 and was facelifted in 2015, was that it was too plain-looking for a flagship SUV. Latest Volkswagen Touareg’s “Innovision Cockpit” combines a 12-inch virtual instrument cluster with a 15-inch infotainment touchscreen and is fully equipped with helpful features. Volkswagen must have heard the feedback. The latest Touareg is a sharp-looking car. The first thing that strikes you is its massive grille stretching across the bonnet and fusing with the headlights. Compared with its predecessor, the newcomer is 77mm longer at 4878mm, 44mm wider at 1984mm, but stands 7mm shorter at 1702mm. The roof tapers towards the rear. This gives the car a less bulky and more dynamic look, especially when viewed from the side. The wheelbase is 1mm longer at 2894mm. The car is now 106kg lighter, thanks to the use of more aluminum and high-tech steel. Its boot space has grown from an already massive 697 litres to 810 litres. With rear seats folded, the car can carry several kitchen sinks, literally. The new Touareg is currently available with a 3-litre turbo-diesel V6 in two output versions – 231hp/500Nm and 286hp/600Nm. But it is uncertain at this point whether the diesel engines will come to Singapore. Inside, the cockpit sees the most drastic change. A 12-inch virtual instrument cluster flows into another laptop-size 15-inch infotainment touchscreen. VW calls it “Innovision Cockpit”, where digital surfaces replace conventional displays and controls. Gone are all the buttons of the centre console, including the one that shuts off the engine when the car is stationary. That button is now on the touchscreen. 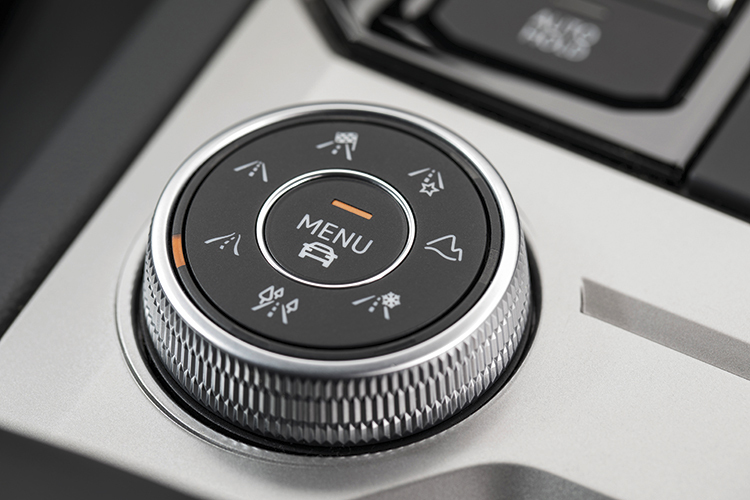 Near the gearshift lever, only three physical controls remain – drive mode selection, ride height adjustment and sound volume. New Volkswagen Touareg’s interior offers excellent seats, VW’s biggest panoramic sunroof, a hugely useful boot and all the amenities of a deluxe German SUV. 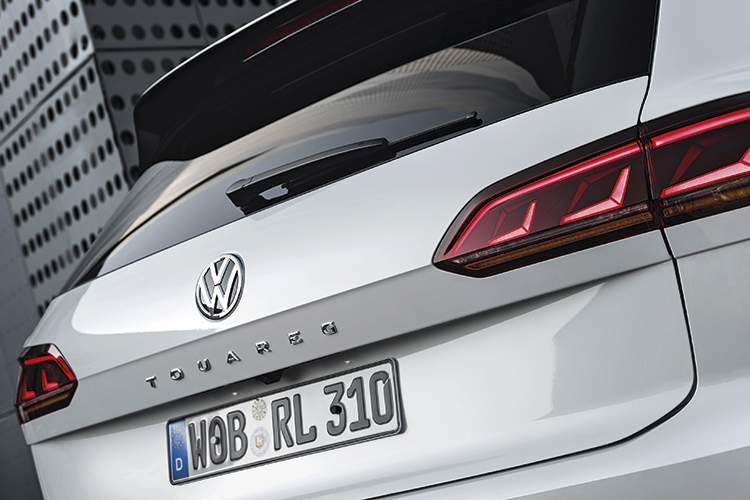 The car has head-up display, road sign recognition and what Volkswagen calls a self-learning navigation system, which can automatically predict where a driver is heading based on previous journey patterns. The most impressive feature is a Lexus-rivalling massage function on the front seats, with eight programmed massage patterns. This is the first time the massage function is introduced to the Touareg seats. Beside the massage seats, there is another aspect within the Touareg which has shades of Lexus – the generous use of wood. One of the test-cars came with a new “Atmosphere” trimline, where the entire dash panel is made of ash wood. It sounded odd to me when I first read about the new trim in the press kit – blending wood with a modern cockpit is like a MacBook Air with a wooden shell. 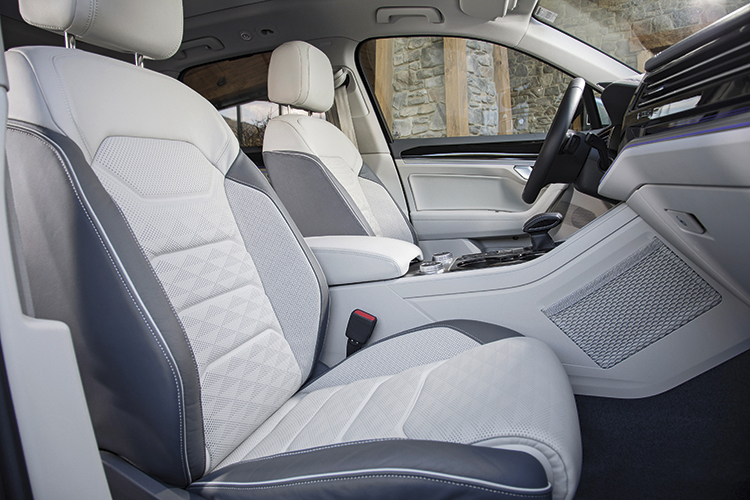 But the Touareg interior designers did it well – the ash wood panel feels classy, not dingy. Adding to the classiness of the cabin is the massive panoramic sunroof, which Volkswagen says is the biggest it has ever made. It makes the already spacious interior even more welcoming. The vehicle is loaded with safety features. A notable addition is a radar that can detect oncoming vehicles at intersections and apply emergency braking if necessary. With this feature, perhaps the fatal accidents that killed a 19-year-old National University of Singapore undergraduate and a 23-year-old woman in April could have been avoided. In both instances, the taxi and car collided with oncoming traffic while they were turning right at busy junctions. Third-generation Volkswagen Touareg looks far more striking than the previous model and is also over 100kg lighter. Another notable safety feature is a matrix LED headlight system, which can project high beam when lighting is poor without blinding the drivers of oncoming cars, by blacking out the LED blubs that shine on them. This feature will come in handy for those who drive their Touaregs up north at night. Over a 254km test route which includes expressways with 130km/h speed limits, twisty mountain roads and small-town roads, the Touareg feels at home. But it lacks steering feedback, even in its sportiest drive mode. 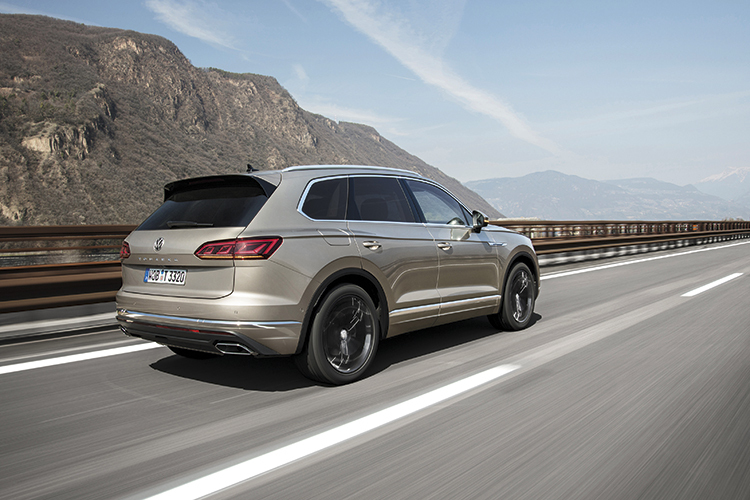 On the twisty roads, the Touareg has some degree of roll expected from a car of its mass, but it remains composed and predictable around the bends. The car comes with electro-mechanical anti-roll bars at both its front and rear axles. Software is used to control them to provide stability as the car twists and turns on curvy roads. The Touareg has an off-road function, but that was not called into use. 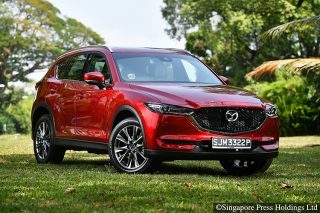 The car is equipped with air suspension, allowing its ride height to rise by 70mm for off-road driving, lower by 15mm for stability at speeds above 120km/h or by 40mm for easier ingress and egress. It also has rear-wheel steering. 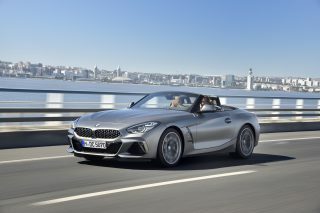 At under 37km/h, the rear wheels steer in the opposite direction of the front wheels, making the turning circle tighter. 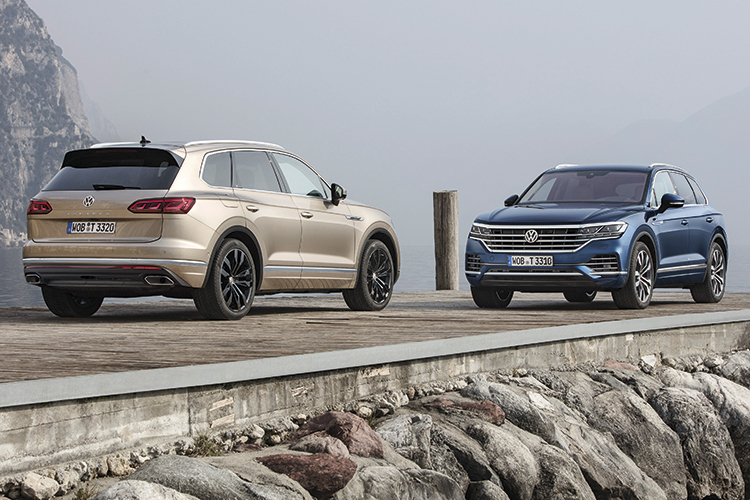 At its current dimensions, the Touareg can easily be a seven-seater, but Volkswagen has decided to keep it to five seats, which can potentially limit its appeal. The Golf needs 10.9 metres to make a U-turn and the Passat, 11.7 metres. The Touareg just needs about 30cm more than the Golf hatchback to make the same turn, and about 50cm less than the Passat saloon. This feature came in handy when I made a wrong turn at a roundabout and had to make a tight three-point turn further down the road to get back into the programmed route. But at speeds above 37km/h, the rear wheels turn in the same direction as the front wheels, making the car more agile and lane changes snappier. The Touareg’s rivals include the BMW X5 and Mercedes-Benz GLE. But it is likely that the VW will not overtake these two SUVs in sales. 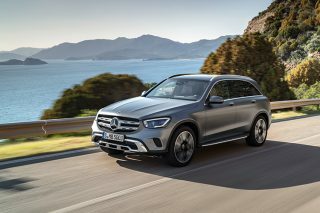 As much as the top-end Touareg matches and even exceeds the performance of the entry-level X5 or GLE, it lacks the badge appeal that buyers of such statement-making large SUVs tend to look for. The VW can also count among its rivals the Audi Q7 and Volvo XC90, both of which are seven-seaters. 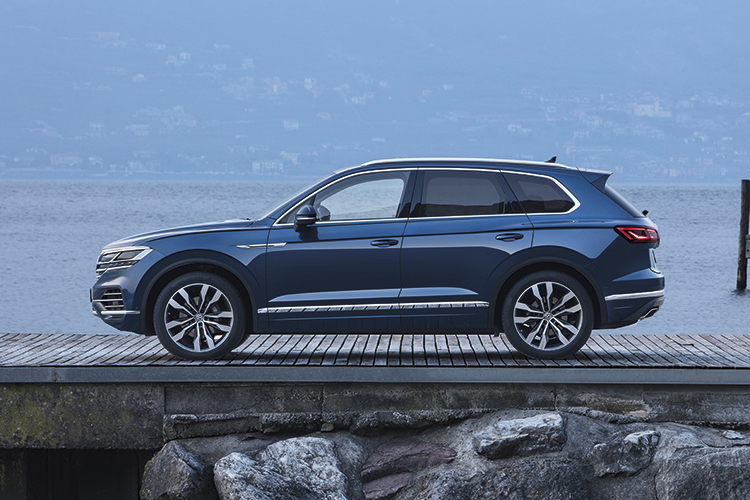 At its current dimensions, the Touareg can easily be a seven-seater, but Volkswagen has decided to keep it to five seats. This can potentially limit its appeal when the car arrives in Singapore early next year. But what will add to its appeal is that it will be launched here with a 3-litre V6 turbocharged petrol engine that churns out 340hp of power and 450Nm of torque, presumably reducing the punitive vehicle emission tax which would be levied on the 3-litre V6 turbo-diesel version. 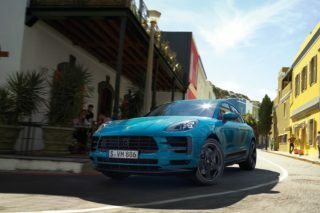 The local price of the latest Touareg has not been fixed, but it may well be above $300,000, which will make it the most expensive Volkswagen car, fitting its status as the brand’s trophy model.